A unique feature of the numerous wildlife sanctuaries and reserve forests scattered all over the Dooars region is that they look mesmerising throughout the year. This is primarily because this region experiences a pretty pleasant weather with forest fruits ripening every now and then. If luck favours, you might even catch a glimpse of those animals coming out of their shelters to soak the warm sunshine and relish those fruits. No wonder, Dooars can offer its visitors some of the best sighting experiences which they can cherish for years to come. Just make sure that you have included all the famous national parks in your trip itinerary as they can enhance the enjoyment quotient of your tour package drastically. If you are planning to visit Dooars so that you can praise the beauty of the mighty rhinos, the Jaldapara National Park is a must visit. Not only is the park famous for their one-horned Asiatic rhino population but you will also get to see elephants, deer, antelopes and Indian bison. There are even a few tigers and leopards in this vast forest area. You can either opt for a Jeep safari or the elephant safari. 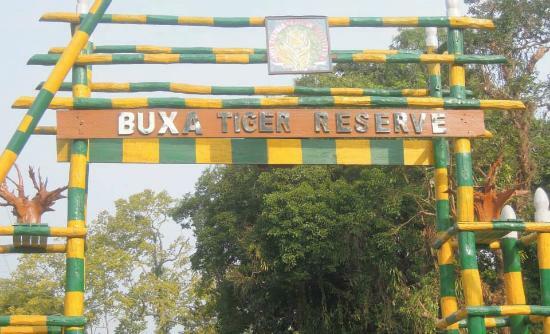 The Buxa National Park is located in the Alipur Duar district of West Bengal and the Tiger Reserve is famous as six tigers were relocated here a few years back. It is the ideal place for some memorable tiger sightseeing and you get to enjoy the thick flora and fauna as well. Few animals you can definitely expect to see during your visit to the Buxa Tiger Reserve are the royal python, great hornbill, Chinese pangolin and elephants. The colourful species of butterflies enhance their beauty even further. Include the Neora Valley National Park in your Dooars Tour Package and get to visit the most diverse national park in Eastern India. The dense forest is generally preferred by adventure seekers, trekkers, bird watchers and entomologists. It is also regarded to be a rare national park where one can spot the clouded leopards and the red panda. Lava and Samsing are the two entry points and there’s no entry fee. All you need is a permit from the Forest Department officials. These being said, it’s time you include all these famous national parks in your trip itinerary and plan the perfect tour.